Don't you think this would make a lovely nightgown? 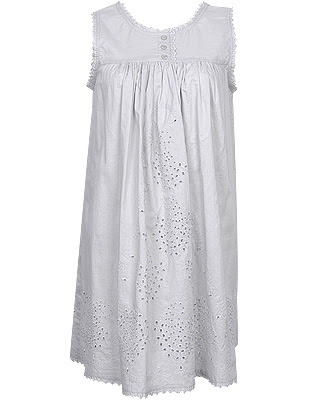 Of course I am the type of person who wears old t-shirts and flannel pants to bed, but the thought of a pretty eyelet cotton tunic for sleep wear is quite appealing. It is raining cats and dogs outside. I'm sitting here thinking of warm weather and listening to this lovely soothing music.